1. VEHICLE WEARS AND TEARS COSMETICS CONDITION. · Examine the vehicle’s body for dents, cracks and rust. Check the windshield for nicks and cracks. · Check the tires for remaining tread life and signs of uneven wear. The latter can indicate poor alignment. Try out the turn signals and brake lights. · Make sure the engine runs strong and listen for any troubling noises, such as rattling, clicking or whining. · Turn on the radio, heater and air conditioner to be sure they work properly. · Check the dashboard for warning lights and verify that the gauges work. Once the car warms up, the temperature gauge should be at the midpoint. Closer to “hot” can be a sign of overheating. · Notice how the brakes feel when you come to a complete stop. Do they feel jumpy, sticky or loose? Listen for any grinding or squeaking noises, which can indicate worn brake pads and rotors. · How does the car handle potholes and rough roads? Drive slowly and listen for rattles or knocks, which can indicate steering issues. · What about 90-degree turns? The car should navigate them smoothly and effortlessly. Resistance or pulling can be a sign of power steering or suspension problems. · Does the car accelerate quickly and move smoothly from gear to gear? Engine hesitation is a bad sign. Ensure that the car shifts smoothly from drive to reverse – if the car jolts or makes a grinding noise when shifting gears, it can be a sign of a bad transmission. 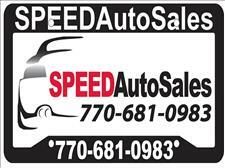 At Speed Auto Sales we are proud of the quality used cars we sell and our dedication to serve the needs of our customers. This is reflected in the amount of repeat business we receive. Whether this is your first purchase with us or one of many that you’ve had, you can count on our dedicated sales staff to make it the best buying experience possible. 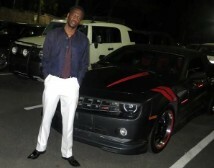 Speed Auto Sales is a very professional car dealership to buy your car from. I bought my first car from here and it was great experience. I was treated with huge respect and they provided us with every necessary help possible. 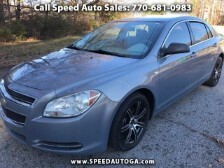 The customer service was very outstanding and vehicle price was almost at a give away.